Aristotle vs. Greenspan » Ambassador Fabian’s blog, KP Fabian, Analyst - international political developments, global issues, Indian national issues. Even as the global economic crisis aggravates, all that the governments have done so far is to inject money into the market. According to the Bank of England, the global financial firms have lost $2.8 trillion and governments have pumped into them $5 trillion of tax-payers’ money. Yet, the banks are not lending. The White House has urged them (October28) to start lending. Clearly, the band aids have failed to stem the hemorrhage. In order to take effective action we should start with the correct diagnosis. By characterizing the present crisis as a “once in a century tsunami”, Alan Greenspan has not contributed to our understanding of the factors that caused the crisis. A tsunami is not caused by human action. The reference to “century” is rather intriguing. By pointing to the conventional theory of economic cycles he is suggesting that his advocacy of deregulation had nothing much to do with the crisis. President Bush has chosen to host a summit level meeting of the 20 major economies in mid-November. It is difficult to see what he hopes to accomplish by holding that summit after the electorate has chosen his successor. Is it not possible to circulate a draft of a concrete plan of action and get that plan endorsed by the group of 20 in a few days? Diplomacy has many instruments at its disposal other than summitry. Let us briefly consider the elements to be included in the action plan. As regards the cause of the crisis it is painfully clear that the cancerous growth of the financial sector, especially the derivatives part thereof, is the principal cause. In 1980, the financial sector in US accounted for a little over 5% in terms of market capitalization, but it grew fast and reached the level of 23% in 2005. Later, the global derivatives market reportedly reached the absurd level of $600 trillion, more than 10 times the world GDP. The CDS (Credit Debt Swap) volume reached the insane level $162 trillion. It is high time that we took a critical look at derivatives, their raison d’etre , and the harm they have caused to the global economy. It will be utterly naïve to take shelter under any dogma treating the market as the sacred cow. As regards the derivatives the more toxic of them should be banned. What is the advantage of CDS? It only spreads the risk across the market in a very risky way. If A owes money to B and does not repay, in a world without derivatives, only B is directly affected. But, with derivatives many others get directly affected. The derivatives construct a bubble that is bound to burst. Why start such a bubble? It is unethical to start a bubble hoping that one will get out before it bursts. The IMF should list the toxic derivatives to be banned. It can also come up with an inter-governmental overseeing mechanism of the financial sector. Needless to say the central banks should regulate within the state. It is rather puzzling that the academic economists have not come out with their own action plan. Contemporary economists, with a few exceptions, do not worry about the quality of GDP. For them it does not make any difference whether an entrepreneur makes money by selling poison to a murderer or bread to the neighborhood. They also seem to believe that the GDP of an advanced country with a stagnant population should go on increasing. It might be the case that such countries should start thinking of a better rather than a bigger GDP. 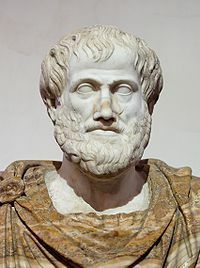 Aristotle made a distinction between Chresmatics and Economics. The latter comes from oikonomia, which, in turn, comes from oikonomos ,a compound word from oikos (house) and nomos (managing). If A buys a piece of land and sells it at a profit later without doing any thing to improve it, that is part of Chresmatics. If A plants new trees in the land and sells it for a profit, that is part of Economics. The financial sector, to a great extent belongs to Chresmatics. The debate on regulation will be made more meaningful if we can separate Chresmatics from Economics. Sad to say the standard text books, or even dictionaries, do not mention Chresmatics. It is time we took a critical look at the fundamentals of economics. Ethics, politics, and economics are irrevocably connected After all, Adam Smith was professor of moral philosophy when he wrote his Wealth of Nations.